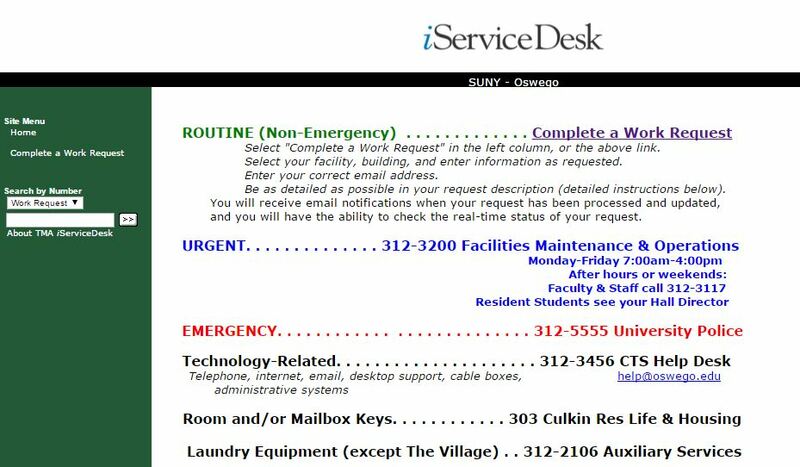 In 2012, Facilities Services upgraded our computer maintenance management system from a hand-written paper service request to an electronic service request: iService Desk, which is located on the SUNY Oswego, Facilities Services webpage. We are pleased to announce, as of January, we have upgraded our desktop software to a web based application for a user friendly experience. Check out our new system here.